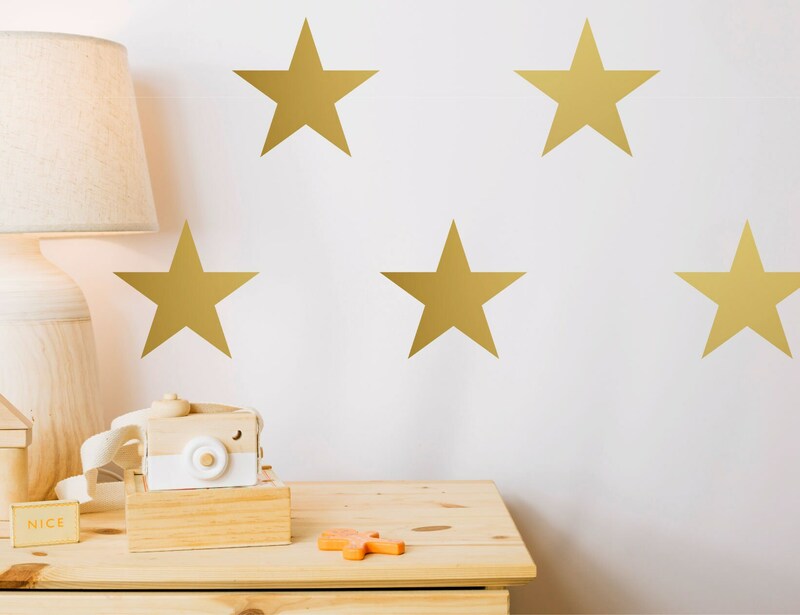 Set of 12 extra large star wall decal stickers. Simply peel and stick to apply to walls. These look incredible, and as if they're painted onto the walls when applied! 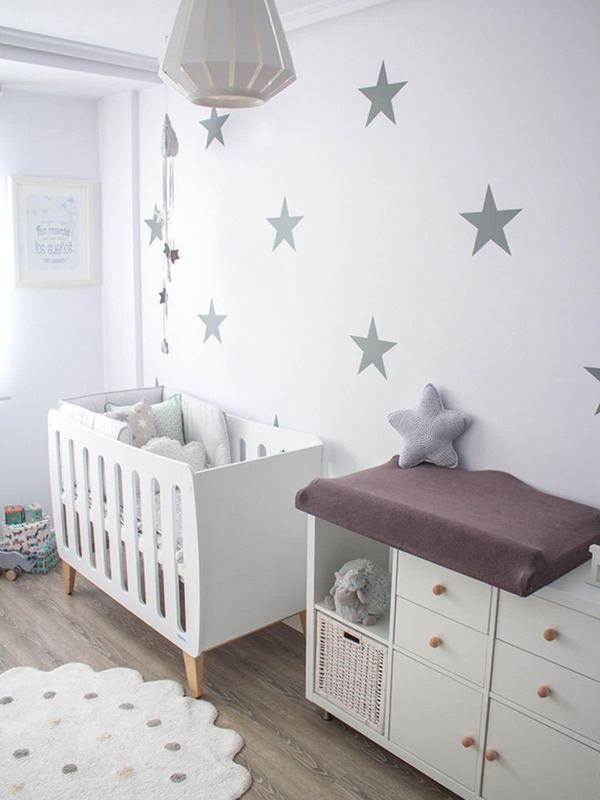 Wall stickers, or wall decals are an amazing modern way to transform any room. 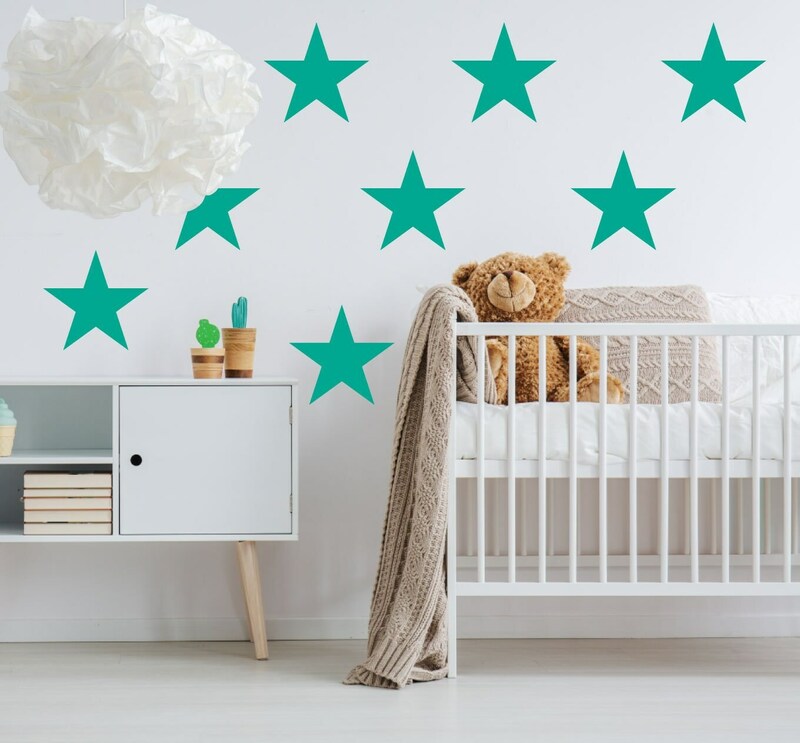 A wall sticker is a thin self adhesive vinyl layer, available in many colour options, plotted and cut by special cutting machinery into numerous different designs. Wall art stickers when applied to your wall or any smooth flat surface, look like they are part of your existing wallpaper or wall. This allows them to look incredible as they simply blend in to your existing wall or the surface you apply them to! Wall art stickers can also be applied to glass, tiles, plastic, wood, wardrobes, vehicles and anything else smooth and flat you can think of. All our wall stickers are made to order right here in the UK. 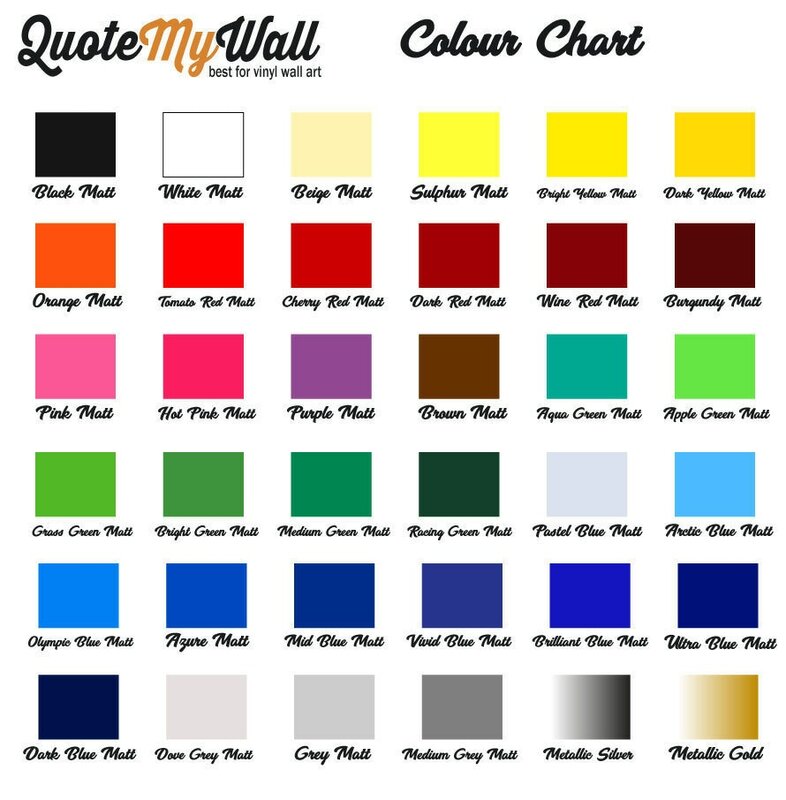 Here at Quote My Wall, we produce all our wall stickers from the highest quality branded vinyl. Images used is for display purposes only.